This weekend was Fall Break for my oldest daughter. I took off on Friday, and we went to my Granny's house out in the country. We had a great time and did everything from riding horses to going back to the pumpkin patch with my husband and Mom in tow this time. We crammed a ton of stuff in this weekend, and I have a little bit of work to catch-up on, but I thought I would give you a peek into my suitcase. I should really do a better job of packing "lighter," but this is the first of several trips over the next couple of months. I promise to do a better job of planning for the next trip. 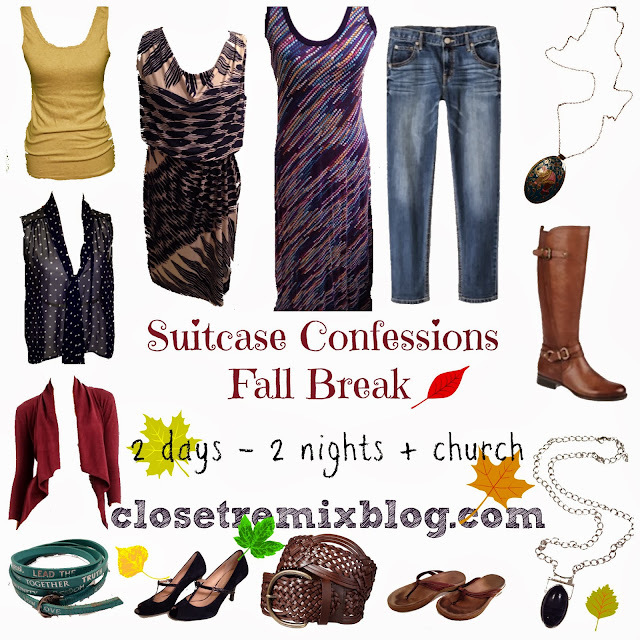 I am working on suitcase organization mission for November too! Theme images by Maica. Powered by Blogger.